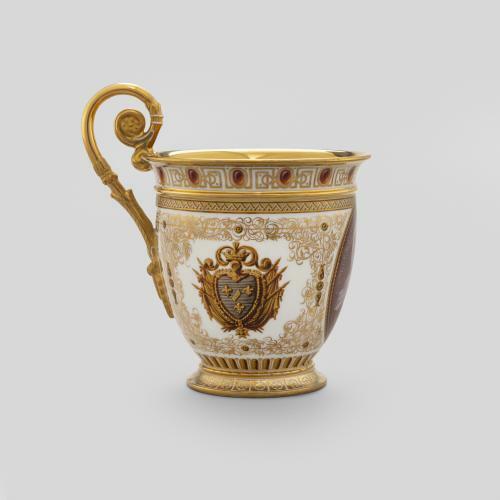 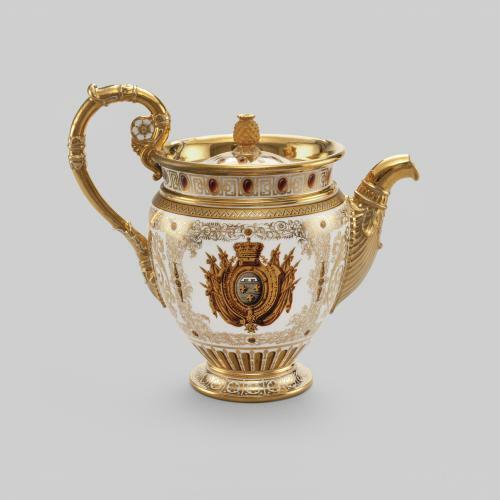 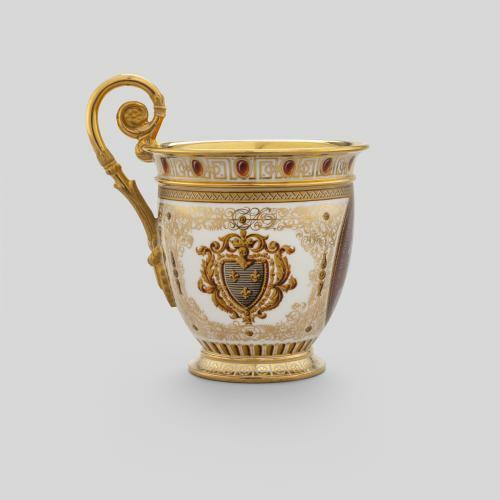 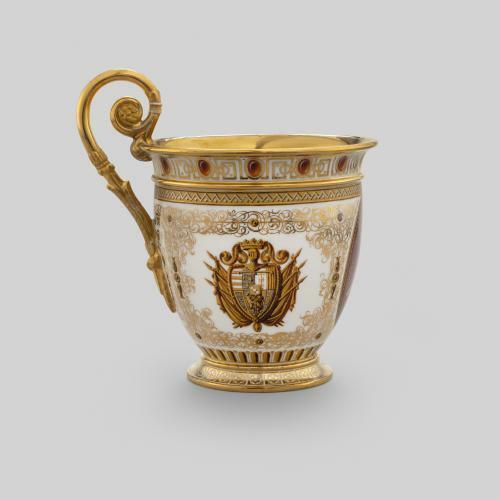 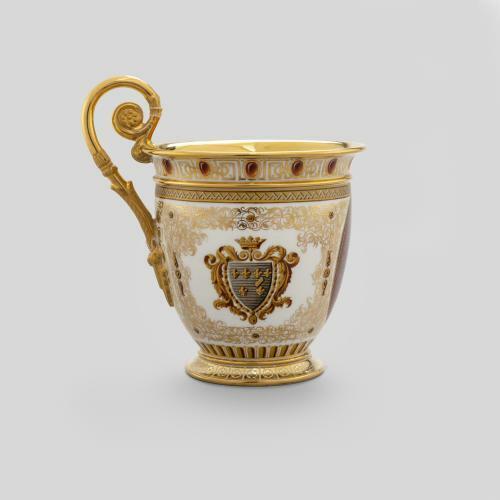 This tea set was purchased by King Louis Philippe of the French (r.1830-1848) and delivered to his wife Queen Marie-Amélie on June 1, 1846. 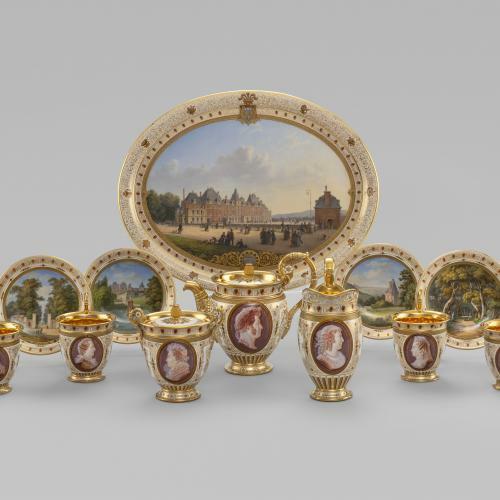 The set is decorated with views of the Château d’Eu, a residence which Louis-Philippe inherited from his mother, the Duchesse d’Orléans, in 1821. 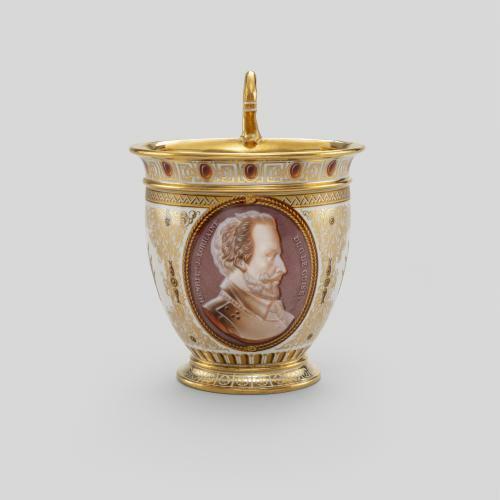 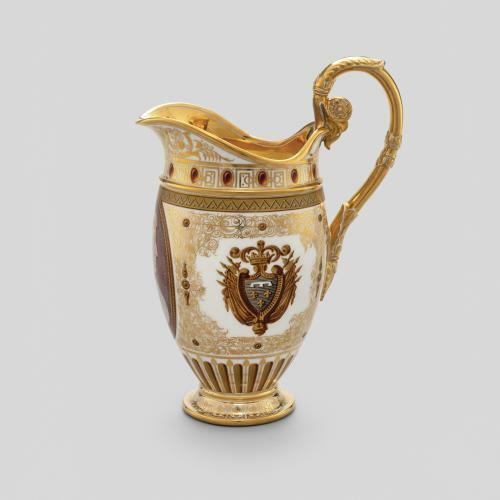 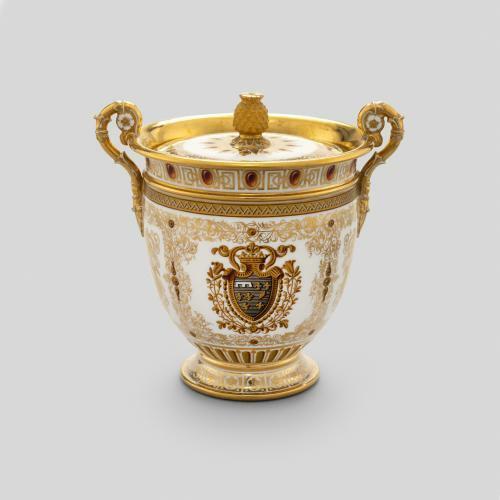 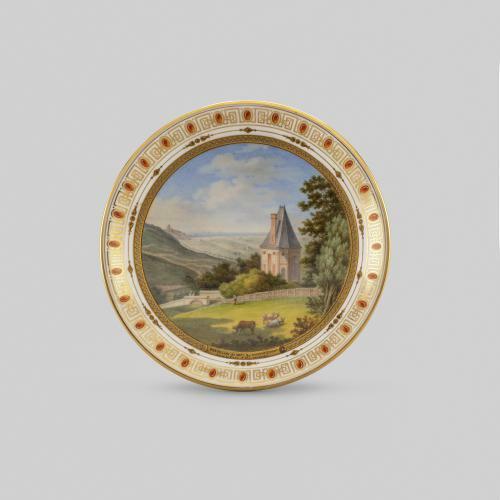 The choice of the Château to decorate this service is a testament to the King’s attachment to Eu, where he stayed regularly with his family, and which was also the subject of other commissions including a casket delivered to Marie-Amélie in 1841. 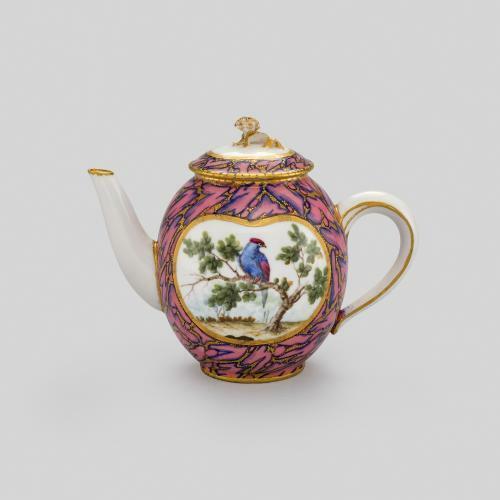 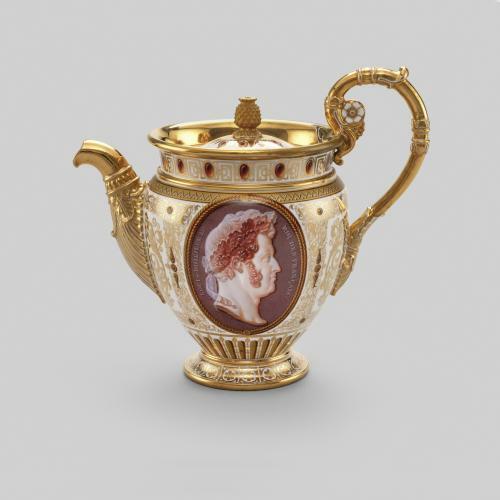 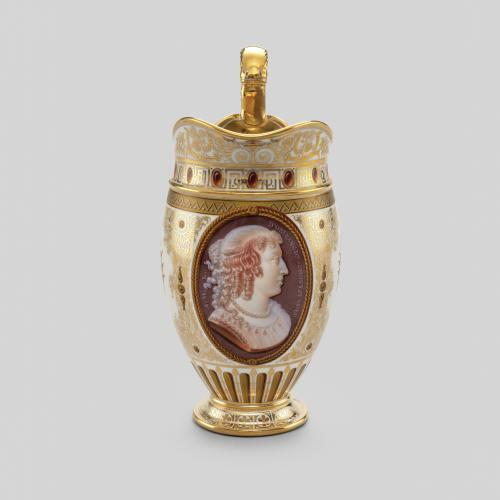 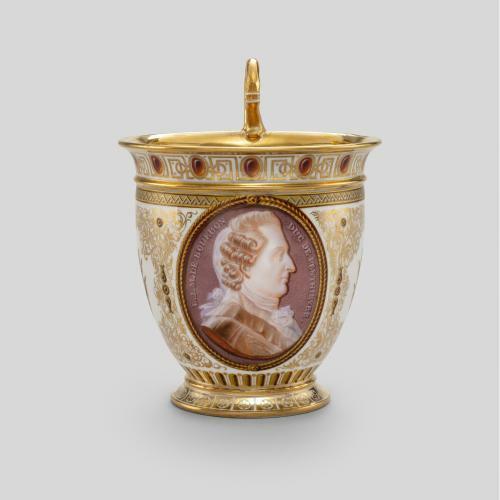 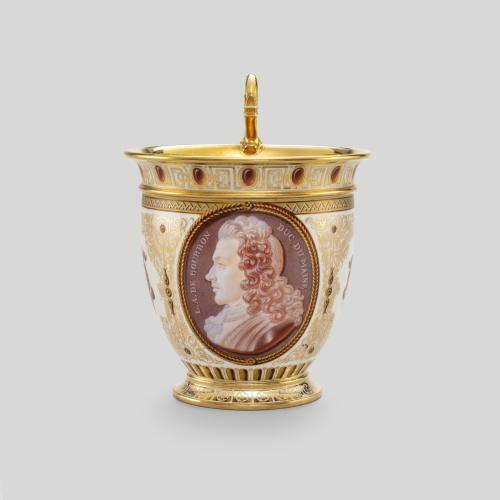 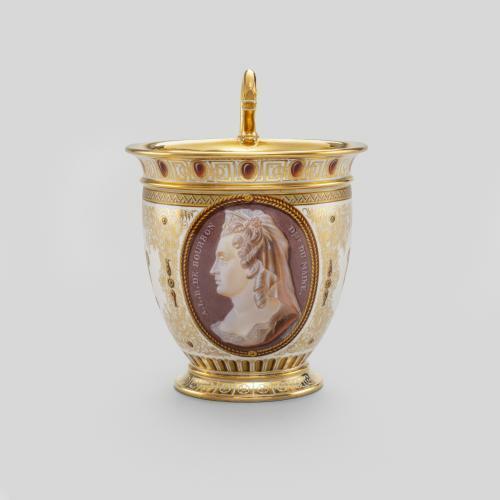 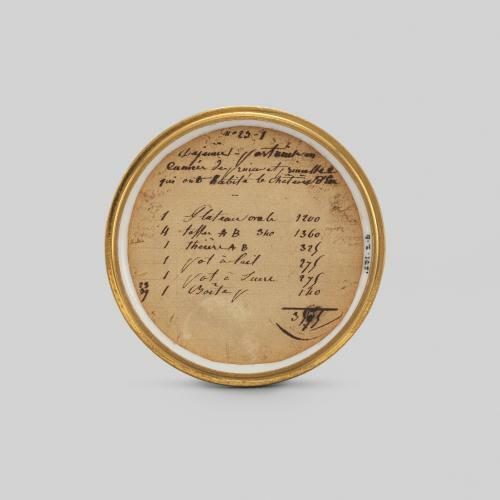 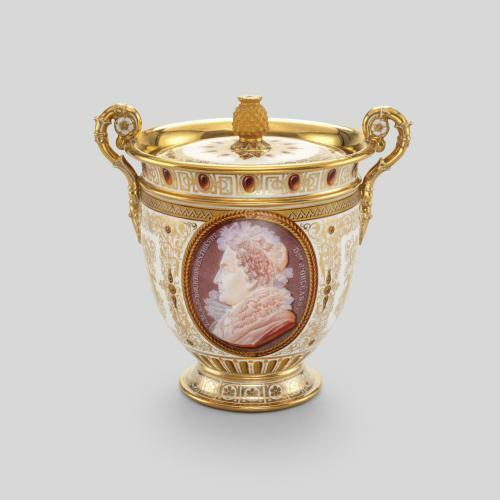 An original pricing inventory on the base of the sugar bowl lid identifies that the set was sold for 3.575 francs. 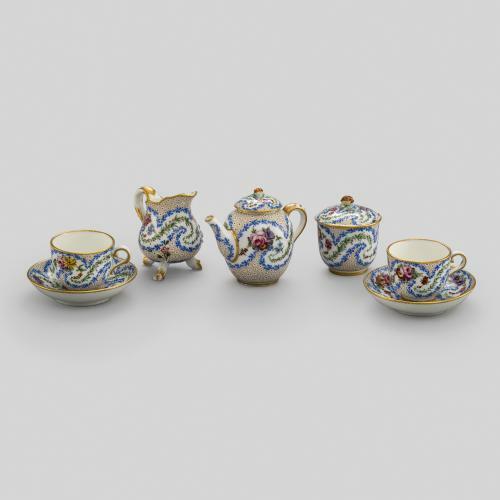 The service is composed of a large oval tray, a teapot, milk jug and sugar bowl, and four cups and saucers. 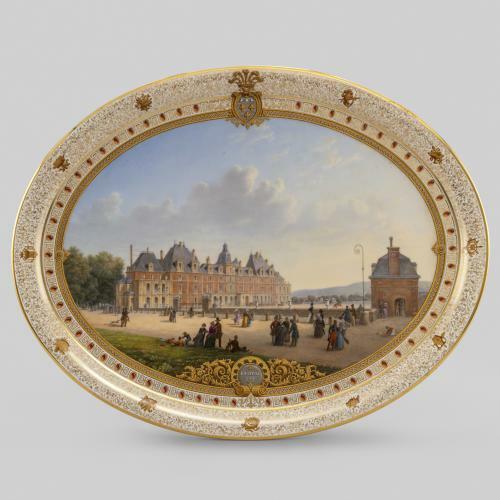 The tray, which features the coat of arms of France at the top, is painted with a large view of the château by Nicolas Antoine Florentin Le Bel based on a watercolour by Nicolas Joseph Kellin. 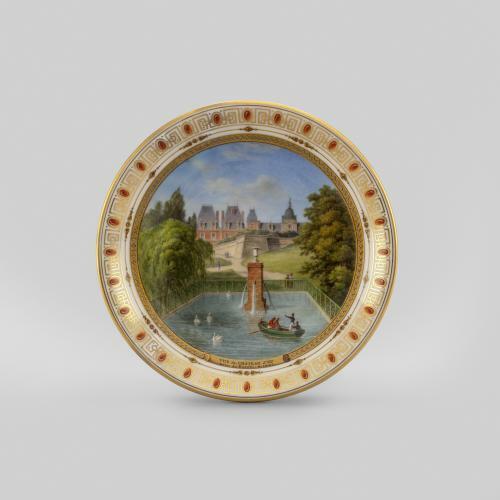 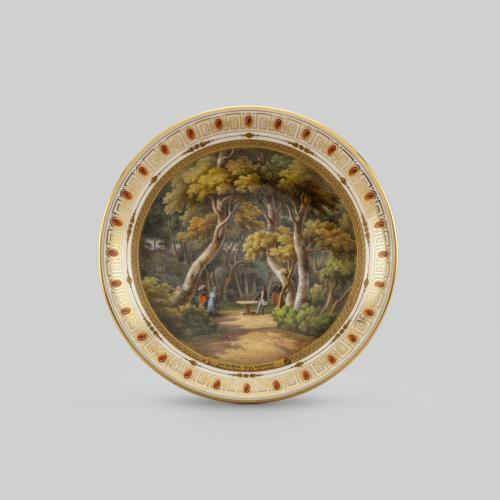 Also marked for Le Bel, the saucers are reproductions of studies by Jean Charles Théodore Dubois and include a view of the park gate at Eu known as the ‘porte du bassin’, a view of the pavilion of Mlle de Penthièvre in the park, a view of the pond in the park, and a view of the table of the Guises. 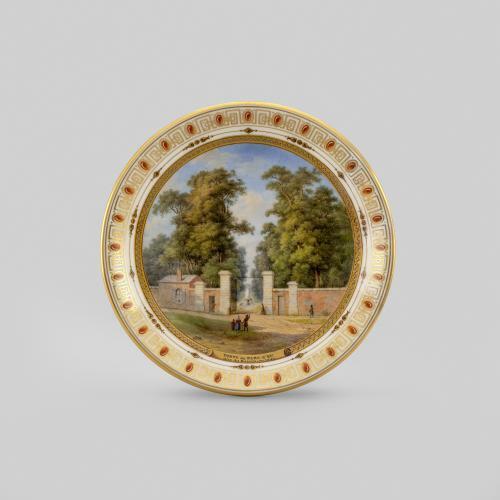 Executed by the figure painter Nicolas Marie Moriot, the presence of such prestigious figures indicates that Louis-Philippe not only wanted to commemorate those from the past who had also at some point made Eu their residence, but that he also wished to align himself with the individuals who had each become an important part of the history of the Château.